Warner Bros. Pictures has just launched the latest trailer of In the Heart of the Sea, director Ron Howard's real-life ocean adventure starring Chris Hemsworth. The trailer may be viewed here at https://youtu.be/FvnyhWX7Aow. 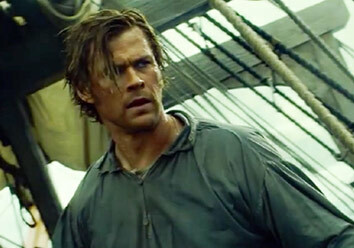 In the Heart of the Sea stars Chris Hemsworth as the vessel’s veteran first mate Owen Chase; Benjamin Walker as its inexperienced Captain, George Pollard; Cillian Murphy as second mate Matthew Joy; and Ben Whishaw as novelist Herman Melville, whose inquiries into the event 30 years later helped bring the story to light.